If It's Hip, It's Here (Archives): Movieclips Mocks Apple iPhone Maps in Three Movie Parodies: Hunger Games, The Dark Knight and The Shining. 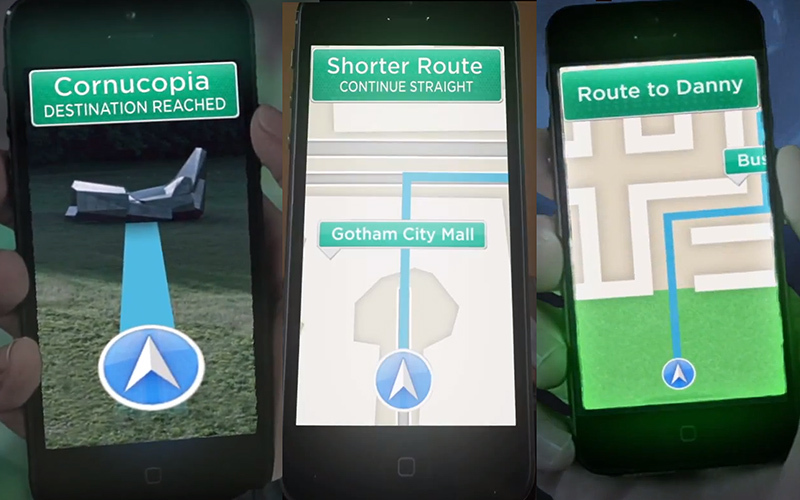 Movieclips Mocks Apple iPhone Maps in Three Movie Parodies: Hunger Games, The Dark Knight and The Shining. Apple's iPhone (iOS 6) continues to receive grief over their highly criticized map app versus Google maps. The latest to skewer the highly criticized technology is Movieclips with their parodies of the iPhone 5 map app in The Hunger Games, Batman: The Dark Knight and The Shining. See what happens when your favorite movie characters use their iPhone 5 and apple maps to achieve a goal.